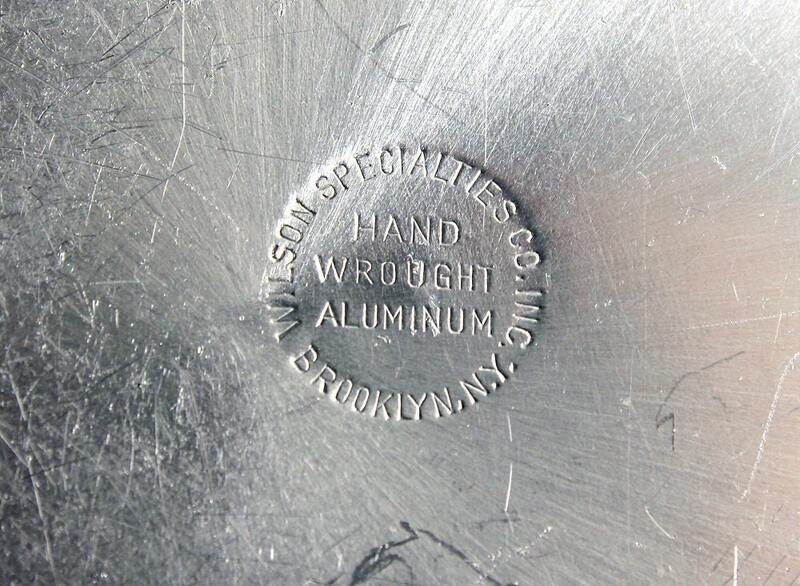 A beautiful hand wrought aluminum tray (bowl) by Wilson Specialty Co, Brooklyn, NY. 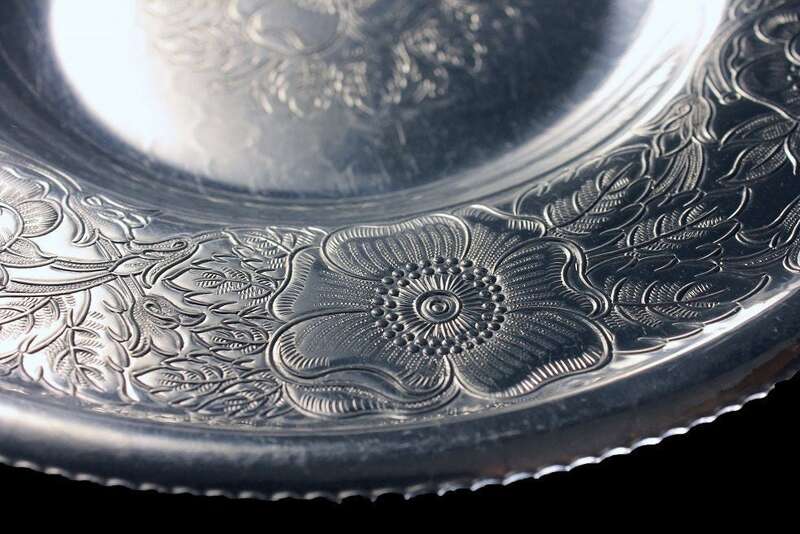 The pattern is an embossed floral design. 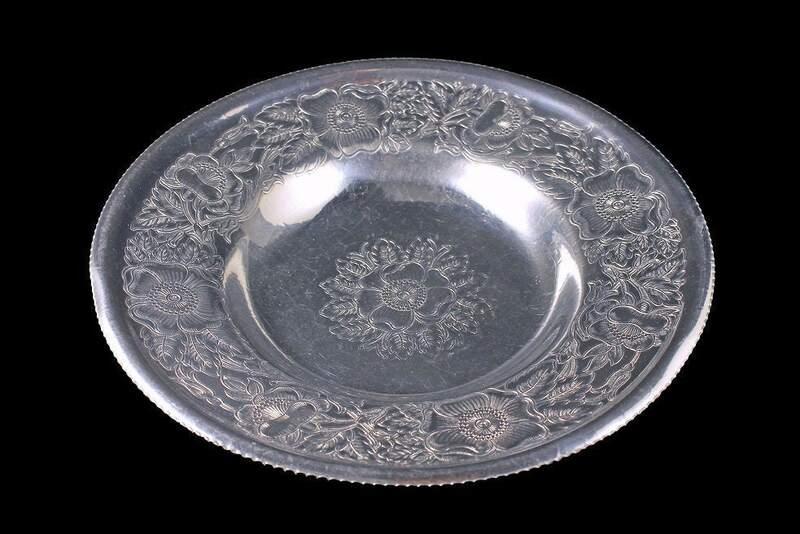 Aluminum dishware was an economical way of having a silver like serving piece back in the '30s, 40's, and early 50's. There are many uses for this tray such as a fruit bowl, base for a flower arrangement, or a serving dish. 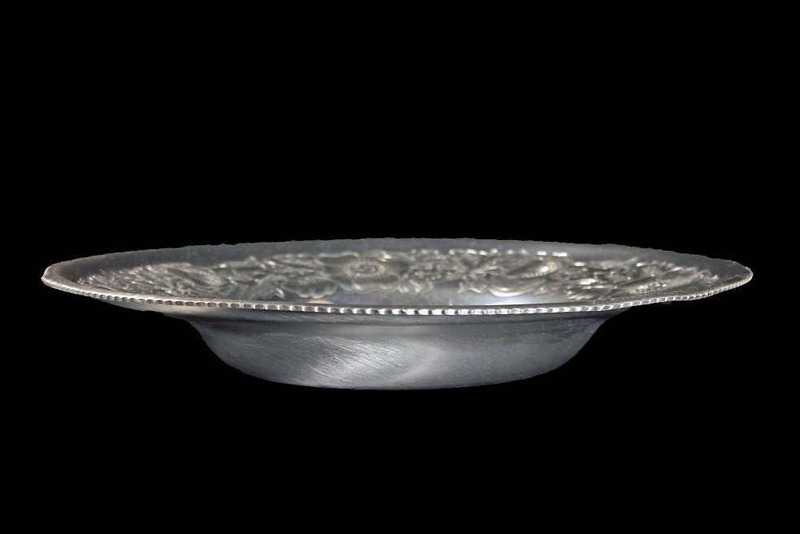 This would grace any table, sideboard, buffet, or coffee table as a centerpiece. This tray is in great vintage condition. There are minor scratches and a small bend on the outer edge which is not unusual for aluminum of this age.